No helmet pressures, comfort w/noise reduction! The smallest and best fitting earphone on the market for increase helmet comfort. The EPS-1/2 plug provides an alternative to standard earbuds with the only flexible body earbud on the market. The ear tip was designed to conform to the S-shaped ear canal, placing the speakers deep in the ear for increased bass response. Single (1 speaker in each ear) and dual (2 speakers in each ear) micro speaker versions available. The dual version has one woofer and one tweeter for each ear and is the smallest dual driver in the industry. Made in the USA. EPS-1: Single speaker per ear, 55", 40" or 22" black shielded straight wire, 3.5mm-1/8", stereo set. EPS-2: Dual speakers per ear (woofer and tweeter), 55", 40" or 22" shielded straight wire, 3.5mm-1/8", stereo set. 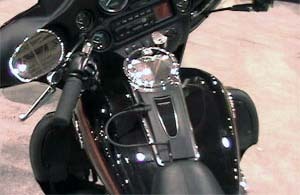 EPS-HDA: 7 pin adapter for the Harley Davidson Ultra. Audio and microphone capabilities. Interfaces earplug speakers with a standard 3.5mm (1/8") stereo plug to the Electra Gilde Ultra intercom systems. The audio is re-directed when the earplug speakers are plugged in, and the microphone stays active. No need to remove when reverting back to helmet speakers. Cable length is 11". Does not work with 2014 Ultra CVO. 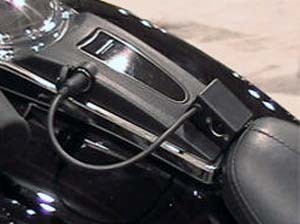 EPS-Y7: 7 pin adapter for Harley-Davidson. Audio and mic capabilities. Interfaces earplug speakers with a standard 3.5mm (1/8") stereo plug to intercom/bike systems. Need to take off line when reverting back to helmet speakers. Also works with 2014+ Ultra CVO. 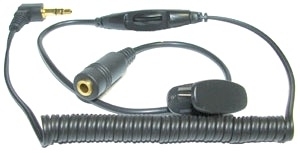 EPM-Y5: 5 pin adapter for Honda (Goldwing), Yamaha, Suzuki, J&M 5 pin included plug phone jack. Similar to above. 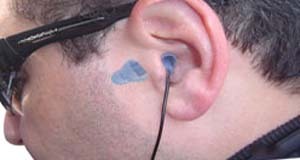 The adapter allows mic transmission to come through, and the helmet speakers will be disconnected so the audio goes through the earbuds. EPS-Y1: 7 pin adapter for late model year Harley Davidson, audio only. 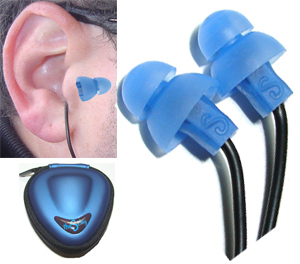 Interfaces earplug speakers with a standard 3.5mm (1/8") stereo plug to intercom/bike system. 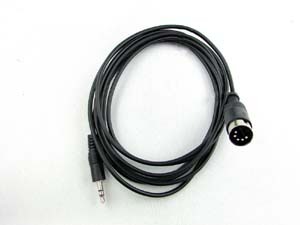 EPM-Y1: 5 pin adapter for Honda, Yamaha, Suzuki, J&M 5 pin audio only. Similar to above. 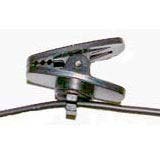 EPL-S7: 3.5mm stereo jack to 7 pin DIN cable for 1998-later Harley-Davidson Ultra Classic. Works with Sena SM10 Dual Stream Bluetooth Stereo Transmitter. A 72 inch long, and a 36 inch long cable are available. 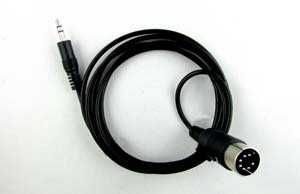 EPL-S5: 3.5 mm stereo jack to 5 pin DIN cable. Fits: 1989-1997 Harley-Davidson, 1980 later - Honda Goldwing, 983 later Yamaha 5 pin audio system, Kawasaki, Suzuki, 5 pin audio systems. Works with Sena SM10 Dual Stream Bluetooth Stereo Transmitter. Allows you to add dual-stream wireless Bluetooth transmitting capabilities for up to two audio devices, such as a mobile phone and MP3 player. Both you and your passenger can listen to the same music or radio station at the same time, using any Bluetooth headset on the market. EPS-ALA1: Allows use of earplug speakers with commercial airline audio systems. Converts the 2 mono output plugs at the airline seat into 1 stereo jack. ESP-ADVC: Partially coiled with thumb roll wheel. Gold plated 3.5mm (1/8") stereo plug and jack. L= 21", can extend to 32". EPS-REP: Replacment blue spare tips. EPS-CLP: Secures earphone wire to shirt or thick jacket. Heavy duty with good grasp. Packaged in a set of 3. "I just wanted to tell you how happy I am with this product! I could never use the ear phones that came with my iPhone because of their size. Your product fits within the ear channel and is completely out of the way of the helmet when pulling it on & off. I had never wanted to spend the money on the custom fit type and I'm completely happy with this product. I bought them five years ago."